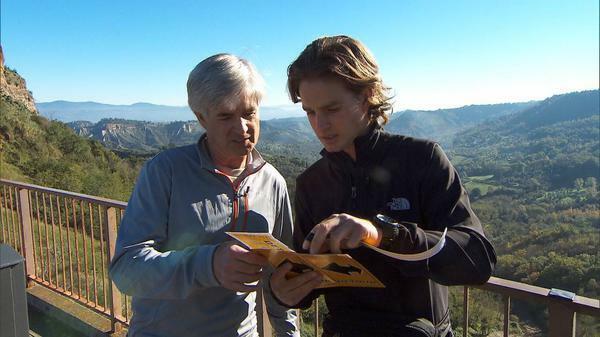 Salt Lake father-son team Dave and Connor O’Leary were targeted by one team but helped two other teams, including one they U-Turned, in the eighth leg of “The Amazing Race: All Stars,” which took teams to the Italian countryside during Sunday’s episode. The O’Learys, who are both cancer survivors, are one of five remaining teams in this race around the world for $1 million. This season involves teams following clues in yellow and red envelopes, navigating transportation and completing challenges called Road Blocks and Detours along the way to get the next clues. And this time, a double “U-Turn” was in play, meaning two teams that completed the Detour challenge first could force other teams to do both Detour challenges.